I think I can safely speak for many a music-lover when I say “about time” for this new release. Rachel Podger’s become an absolute icon of the early-music world, but hasn’t recorded Vivaldi’s The Four Seasons until now. She’s certainly recorded plenty of his music before (I can confidently recommend her L’Estro Armonico of a couple of years ago, for instance), but it’s still enormously exciting to finally hear a violinist of her standing performing these peaks of the Baroque repertoire. 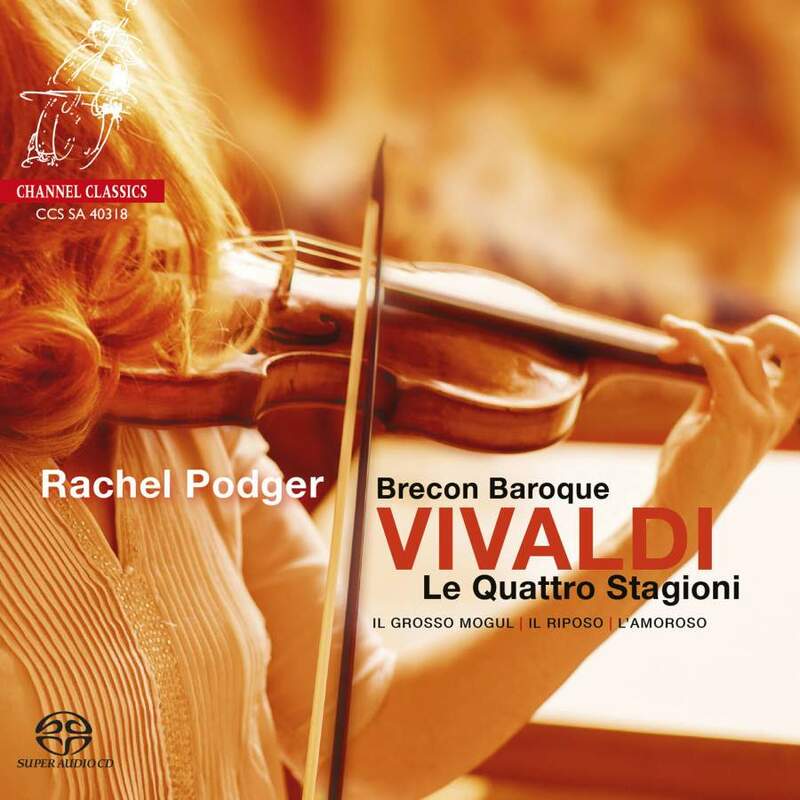 Podger and the Brecon Baroque lean heavily on the dramatic side of Vivaldi’s work. That’s not to say that the performances are excessively affected in any way, but that they revel in the changes of texture and timbre that Vivaldi throws around. Take the opening Allegro of Summer, for instance. Listening on headphones, I was just about jolted out of my seat by the force of the full ensemble coming out of some of the quieter passages. The ensemble’s transitions are fabulous as well, though – I’ve always found that some of the changes in Spring can be pretty unconvincing if the ensemble isn’t bang on, but that’s never an issue for Podger and the Brecon Baroque. There are three other imaginative concerti included here for good measure, which Podger and co put just as much preparation and thought into. Il Riposo (RV270) is Vivaldi playing with textures again, featuring a muted ensemble for reverent Christmas performances, and both L’Amoroso (RV271) and Il Grosso Mogul (RV208) are played with the sort of easy wit that Oscar Wilde would be jealous of. It takes a lot to get me to appreciate these pieces after having heard them (or bits thereof) mauled more than enough times. They’re absolute warhorses, but this is an excitingly fresh reading and well worth picking up. Baroque violinist Rachel Podger on Mozart, Haydn and the joys of leading the Orchestra of the Age of Enlightenment. Sinkovsky's the star in an evening of baroque pearls. Teaming up with Cancer Research UK, the orchestra has reimagined the piece to highlight the importance of charity legacies.